ViscoJet products represent the cutting edge in agitating, mixing and blending technologies. Their innovative systems provide manufacturers with the ability to install affordable, customized solutions. As system builders, we are constantly innovating and always careful to use high-quality equipment in every step of our processing systems. This video demonstrates the limitations of a common agitator. Note that not all of the blue beads are in motion. ViscoJet’s agitator is much more effective, as demonstrated by the increased movement of the blue beads. Short Mixing Times – The cone-shaped impellers produce self-stimulating agitation effects in the product, which leads to accelerated, efficient, and homogenous mixing. 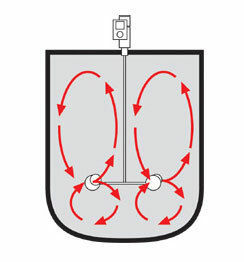 No Formation of Air Pockets – No air is drawn in during the mixing process. In fact, the product can even be de-aerated when the agitator is operated intermittently or at low circumferential speeds. 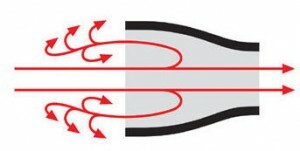 No Foam Formation – Low mixing speeds and the resulting absence of air pockets avoid foam formation. No Temperature Rise – The medium is not heated due to the low mixing speeds and the very short mixing times. Gentle Mixing Action –The medium experiences accelerated laminar flow with stable vortices, which avoids potentially harmful turbulences. 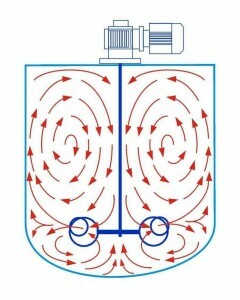 Energy Savings – The ViscoJet® agitation system saves up to 50 % energy compared to conventional systems. No Additional Accessories or Assemblies – The VicoJet® agitation system does not require any additional assemblies (e.g. baffles, shaft guide bearings). In addition, one element set suffices even for very large mixing volumes (up to and exceeding 66,000 gallons), which makes additional cleaning and sterilization efforts unnecessary. Multifunctional – Unlike conventional systems, which have to be specifically designed for each mixing task, ViscoJet® agitation systems are multifunctional. One and the same ViscoJet® element can be used for nearly every mixing task. Light Construction – Smaller drives and smaller radial forces on the mixing elements result in significantly reduced torques on the shaft, which can therefore be dimensioned smaller and lighter. Different conical agitator elements can be selected depending on the viscosity of the product. Closed cones are best for aqueous to medium viscosity applications, while spiral cones are ideal for highly viscous products. Both types are available in fold-away models for small container openings. 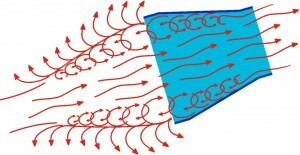 Accelerated laminar flow at the exit of the cone, combined with the reverse turbulence created by the dynamic pressure at the cone entrance, generates high-momentum mixing movements as the agitator slowly rotates. This creates highly efficient, yet product-friendly, agitator processes with very little energy expenditure, even in tanks with very large volumes.